Iconic British road and race car manufacturer, Caterham Cars, has developed its most extreme race-ready Seven to date the Superlight R600. 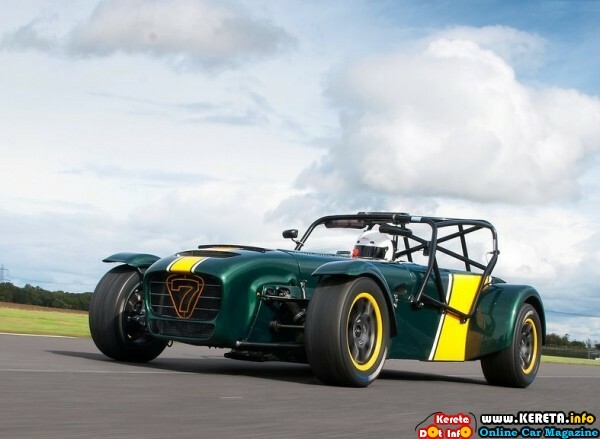 With stunning performance potential and all the character of existing Caterham circuit cars, the new supercharged incarnation of the Seven will represent the top echelon of the Caterham racing spectrum in the Superlight R600 Championship from 2013. After the 208 R2, Peugeot Sport is opening a new chapter in the sports variants of the Peugeot 208, and not least with the 208 R5. It is a true ‘competition wildcat’, and will supersede the 207 Super 2000, benchmark of the S2000 category as much for its technical performance as for its sporting and commercial performance. The announcement of a new performance version of Clio is always an eagerly anticipated event among the model’s fanbase and those who appreciate beautiful cars. Powered by a 1.6 litre turbocharged engine mated to EDC dual clutch transmission, New Renault Clio RS 200 Turbo is an innovative response to the highly sophisticated expectations of the compact sports hatchback customer. In addition to being thrilling to drive, it has distinctive style and is poised to be a favourite with the connoisseurs. The new Maserati GranCabrio Sport consolidates its presence on the convertible car market with completely revamped exteriors and a more powerful engine. The new front bumper, with redesigned profile to enhance aesthetics and functionality, new headlights, a new, even more powerful engine and an upgraded suspension system make the new GranCabrio Sport a point of reference in the convertible car market.